Amon Amarth debuted the video for its latest single this week. The band debuted the video for its new single ‘Crack The Sky‘ on Wednesday. The video picks up where the video for the album’s lead single, ‘Raven’s Flight,’ left off. The crowd has officially entered the club where the band is performing, and the show is just as raucous as any Amon Amarth concert. Of course the show has gotten a little more out of hand than expected as some otherworldly figures have invaded the concert and are causing some serious havoc. Luckily, an expected hero is called in to help eliminate the unholy creatures. Beserker was recorded in Los Angeles, with Jay Ruston (Anthrax/Stone Sour) helming the project. Front man Johann Hegg offered positive remarks about Beserker in a recent interview. Beserker‘s full track listing is noted below. 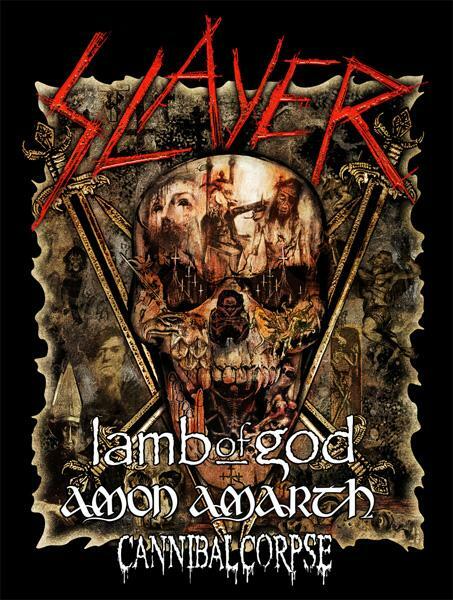 Amon Amarth will join Slayer, Lamb of God and Cannibal Corpse on the road in May for an almost month-long tour to help say farewell to Slayer while also promoting Beserker. The band’s run is scheduled to start May 2 and run through May 25, and to feature performances in cities, such as Huntington, WV; Tampa, Fla and Phoenix, AZ. the tour’s current schedule is noted below. Amon Amarth returns this May, and the veteran viking metal band is building anticipation for the record’s release with the video for the album’s first single. 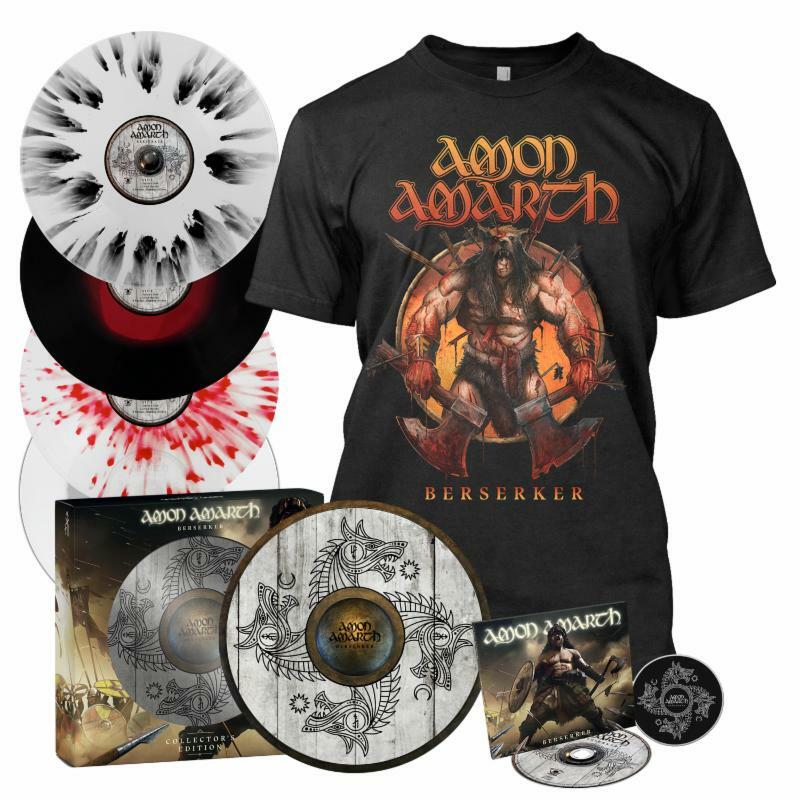 The band announced on Wednesday that it will release its new album Beserker on May 3 through Metal Blade Records. The band debuted the video for the album’s lead single ‘Raven’s Flight’ Wednesday at its official website and YouTube. Directed by Roboshobo, the video crosses footage of the band performing its new single on stage at a club-like setting with a pair of ancient vikings facing a horde of their enemies. It is the first in a trio of videos that will come from Beserker, and features guest appearances by former UFC star Josh Barnett and WWE Superstar Eric Rowan. As the final few days of 2018 wind down, there is still some work to be done by critics putting in their year-ender lists. That includes this critic. This critic’s most recent year-ender focused on the year’s top new live CDs. In a gradual transition to movies and television, there is still one more music list to present — the year’s top new live DVDs/BDs. As has been noted previously, there are some live recordings that translate in relatively acceptable fashion, but there are also others that can and should only be experienced with the full audio-visual experience. Keeping this in mind, it is only fair to examine the year’s best new live DVDs and Blu-rays. Topping this year’s list is Amon Amarth’s The Pursuit of Vikings: 25 Years in the Eye of the Storm. There is nothing negative to say about this presentation. The extensive documentary outlines the band’s career from the band’s own mouths, showing the group as a hard-working, blue-collar outfit that has earned its place in the metal and music communities. The equally expansive two-night, 30-song set pulls from almost every one of the band’s albums. The performance is great, as are the production values. Second Place in this year’s list of the year’s best new live DVDs/BDs goes to Devin Townsend Project’s Ocean Machine Live at the Ancient Roman Theatre Plovdiv. This performance features Townsend performing Ocean Machine live in its entirety along with an equally extensive by-request set. That combination makes for a great set list. As with Amon Amarth’s live recording, the group’s performance ensures audiences’ maintained engagement and entertainment, even at home. The same can be said of the production values. The whole makes the recording yet another that is best experienced with the full audio-visual presentation versus just the audio alone. Third Place in this year’s list of the top new live DVDs and Blu-rays goes to The Rolling Stones’ San Jose, California ’99 show from Eagle Rock Entertainment. The recording is everything that audiences have come to expect from one of the elite of the elite acts in the music industry today. The extensive 20-song set list doesn’t play it safe, instead giving audiences material that is less common in the band’s previous live recordings from Eagle Rock Entertainment. The group’s performance (including that of the touring musicians) couples with the production values to make the performance yet another must have for any true fan of The Rolling Stones. Also featured in this year’s list are the new live recordings from Anthrax, The Robert Glasper Experiment and Opeth, just to name a few more acts. As always, the first 10 titles in the last are the best, while the next five are honorable mention titles. Without any further ado, here is Phil’s Picks’ 2018 Top 10 New Live DVDs & Blu-rays. Tommy Shaw & The Contemporary Youth Orchestra — Sing For The Day! Going to live shows is neither easy nor inexpensive nowadays. Between the collective cost of tickets — which is itself oftentimes bank-breaking — transportation, food, potential lodging and souvenirs, and of course planning around work and family schedules, getting out to live shows is not easy for anyone. Those barriers make the availability of live recordings something critical for audiences everywhere, regardless of genre. To that end, live CDs deserve their own consideration just as much as studio recordings, each year. Keeping that in mind, Phil’s Picks has developed once again a list of the year’s Top 10 new live CDs. This year has been an interesting one for live CDs. Some notable live CDs were featured as part of bigger bundles (E.G. The Rolling Stones’ San Jose ’99 and Voodoo Lounge ’94 shows) while others, such as Alice Cooper’s A Paranormal Night @ The Olympia Paris and Marty Friedman’s One Bad M.F. Live were standalone offerings. Some were standout offerings for all of the best reasons. Others had some problems to note. Keeping all of this in mind, this year’s crop of live CDs deserves just as much attention as the vast sea of studio recordings released throughout the year. 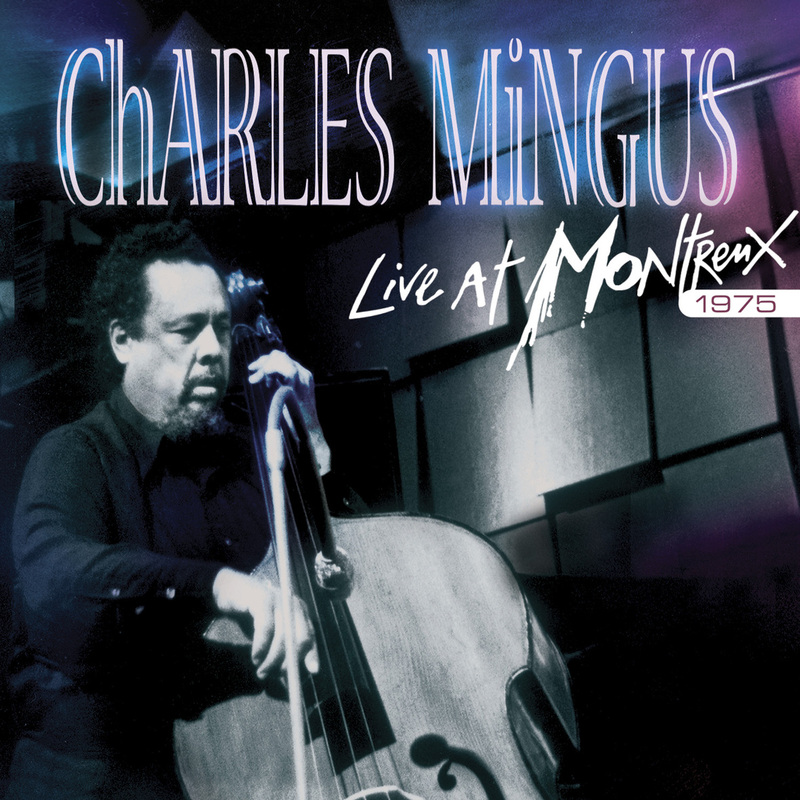 Topping this year’s list is yet another live CD from the people at Eagle Rock Entertainment in the form of Charles Mingus’ classic 1975 Montreux Jazz Festival show. This recording presents Mingus at one of his finest moments, and why his live performances were — and still are today — such powerful presentations. Coming in second in this year’s list is the new Jimi Hendrix live CD, Live at the Hollywood Bowl. This CD was released as part of the bigger Electric Ladyland box set, and stands out so strongly because of its set list, Hendrix and company’s performance and the production values. 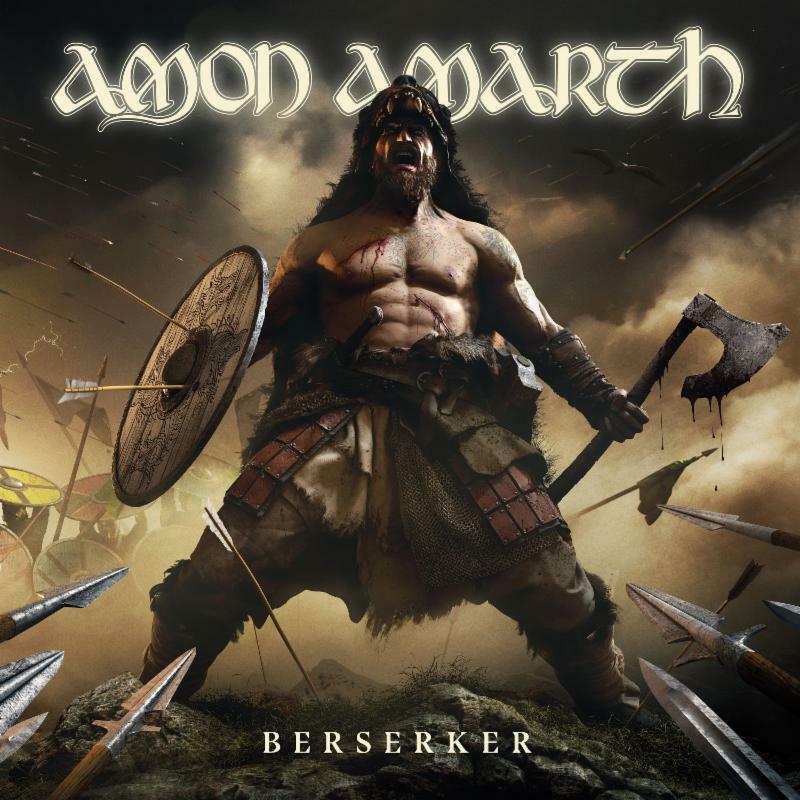 Third place in this year’s list of the year’s best new live CDs goes to veteran viking metal outfit Amon Amarth. The 30-song set list spans two nights and quite an expansive portion of the band’s catalog. That set list is directly mirrored on its DVD and BD presentation, and sounds just as good. Though because of the intensity of the show, it is still better appreciated being seen and heard and not just heard. That’s not to say the CD presentation is bad, but audiences will agree that hearing it makes for far more appreciation for the concerts’ DVD and BD presentations. Also featured in this year’s list of top new live CDs are those noted new offerings from Marty Friedman, Alice Cooper and The Rolling Stones alongside new offerings from Opeth, Devin Townsend and John 5 to name just a few more titles. As always, this critic’s list features 10 of the year’s top new offerings plus five honorable mentions, which follow, for a total count of 15. Without any further ado, here is Phil’s Picks’ 2018 Top 10 new Live CDs. Slayer’s worldwide farewell tour will officially run into summer 2019. The band announced the dates for Leg Five of its final world tour on Monday. Leg Five will bring the band back to North America for a series of dates through May, starting May 2 and running through May 25. Lamb of God, Amon Amarth and Cannibal Corpse will serve as support for the tour. The band’s new dates are noted below. The announcement follows the recent announcement of the sixth leg of the tour, which will take Slayer across Europe during June and July. Those dates — and those of Leg Four — are included with the dates for Leg Five. To keep up with the latest sports and entertainment news and reviews, go online to http://www.facebook.com/philspicks and “Like ” it. Fans can always keep up with the latest sports and entertainment news and reviews in the Phil’s Picks blog at https://philspicks.wordpress.com. Amon Amarth has released a new live clip from its forthcoming documentary/live recording package. The band debuted the video of its performance of ‘Raise Your Horns’ Nov. 2 via its official YouTube channel. The song is taken from the live portion of the band’s upcoming doc/live package, The Pursuit if Vikings: 25 Years in the Eye of the Storm. The performance was recorded at the band’s performance at Germany’s Summer Breeze 2017 Festival. The live portion of the package was directed by Phil Wallis, and produced Alexander Milas. The Pursuit of Vikings: 25 Years in the Eye of the Storm is currently scheduled to be released Nov. 16 via Metal Blade Records. The collection will feature a double-live recording and a full-length documentary. The documentary takes audiences through the band’s rich history both in studio and on the road, and includes a wealth of interviews with the band through that time. The double-live recording features two sets from the band, performed at the 2017 Summer Breeze Festival in Dinkelsbuhl, Germany. Guitarist Olavi Mikkonen said the band was glad to have both performances together in one setting. Pre-orders are open now along with a trailer for the collection here. The collection will be available on CD/2DVD digipack, Blu-ray, special edition hardcover book with six discs (3DVD/2CD/1 Blu-ray) and vinyl. The vinyl pressings will be in transparent orange, clear black with splatter and transparent yellow with orange marble vinyl. The transparent orange pressing will be limited to 500 copies; the clear black with splatter 250 copies and yellow with orange marble 250 copies. The collection’s full track listing is noted below. Over the course of the past 25 years, veteran metal band Amon Amarth has become one of the most respected and unique bands in the metal community. That is because of its music and its live performances. From its debut 1996 EP Sorrow Throughout The Nine Worlds to its most recent full-length studio recording, 2016’s Jomsviking, the band has stuck to what it knows, writing songs about Vikings. It’s not the only band that rose to fame in taking this path, but has become even more famous than its contemporaries in taking that path. The band’s live shows have been just as key in making the band so well-known and respected, as they have included the standard Viking ship on stage, and at times, even Viking battle re-enactments. Of course while the band has become one of the metal community preeminent acts today, its road to worldwide stardom was not the easiest. That story is presented in the documentary included in the band’s forthcoming documentary/live recording package, The Pursuit of Vikings: 25 Years in the Eye of the Storm, and it is a story that is certain to create a new appreciation for the band. 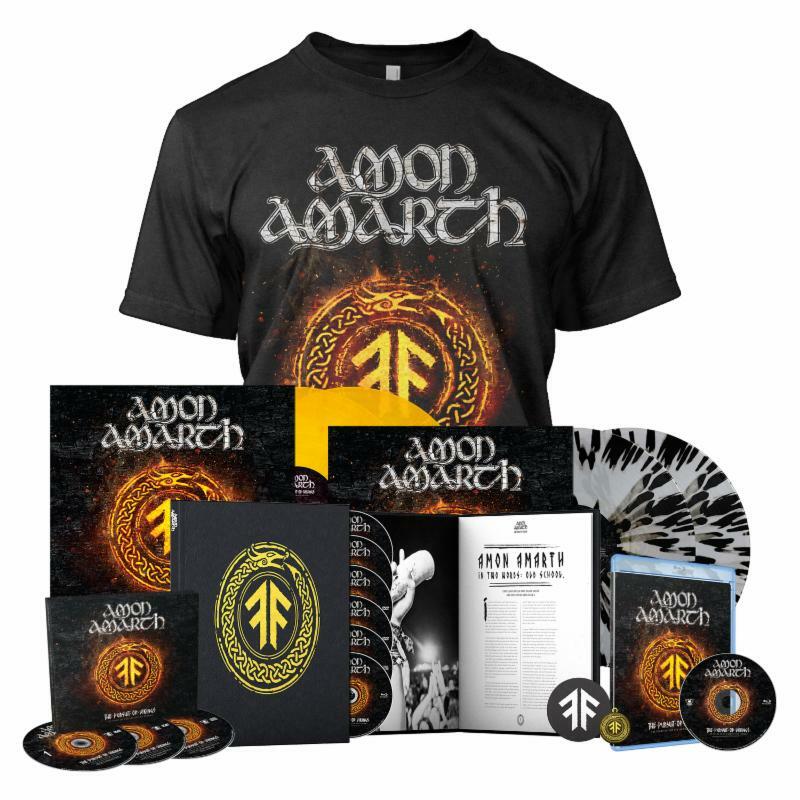 It is just one part of what the package – set for release Nov. 16 via Metal Blade Records – that makes it a worthwhile addition to any Amon Amarth fan’s collection. The live material included in the package is just as important to note as the documentary. It will be discussed a little later. Its pricing rounds out its most important elements, and will also be addressed later. Each item noted here is important in its own way to the whole of The Pursuit of Vikings: 25 Years in the Eye of the Storm. All things considered, they make the recording a collection that, again, will appeal especially to the band’s most devoted fan base. 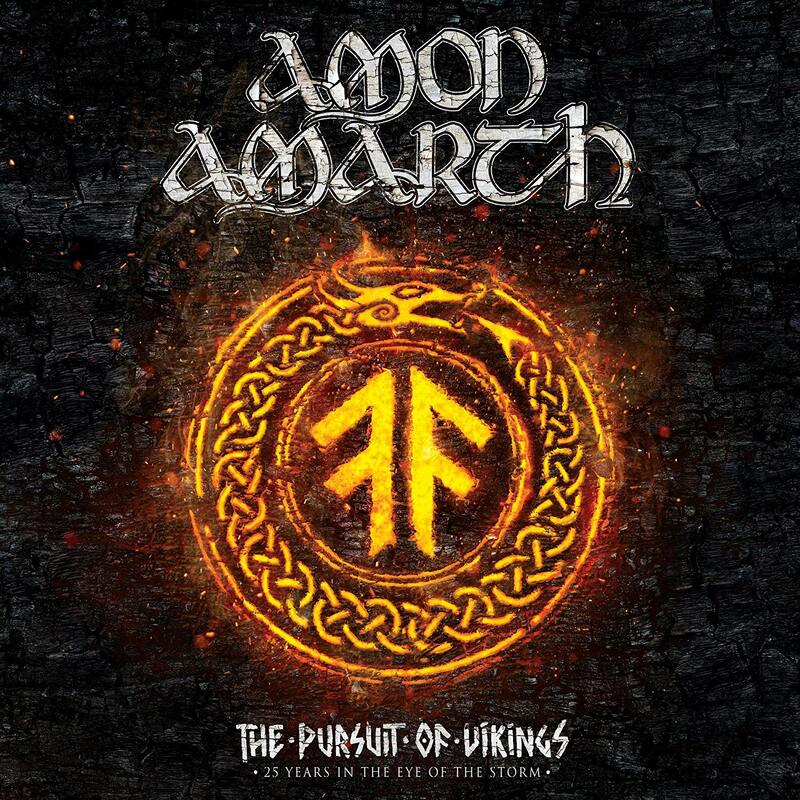 Amon Amarth’s forthcoming documentary/live bundle The Pursuit of Vikings: 25 Years in the Eye of the Storm is a strong new offering from the veteran metal outfit. It is a work that is certain to appeal to the band’s most devout fan base, and even to new audiences who might be less familiar to the band. That is due in no small part to the documentary included in the bundle. The doc, which clocks in sans end credits at a little more than 90 minutes (1 hour, 39 minutes to be exact), serves as an interesting introduction to the band for those noted new audiences, and an equally welcome re-introduction to the band’s more seasoned fans. It takes audiences from the band’s earliest days, struggling to balance their blue-collar lives with trying to make it in the music business to its current state atop the metal community. That back story in itself is a sort of rags to riches story, so to speak because it presents the band as a group that worked its way to the top. It was not given the world. It had to work to earn it. The band’s fron man, Johan Hegg, discusses that work ethic at one point late in the documentary, explaining the clear role that it has played in the band’s success. Along with that, some audiences might be surprised to learn that there was a chance early on in the band’s career that it might not even have been around if not for the success of one record. That story will be saved for those who have not yet had the pleasure of taking in this retrospective. It is another one of those anecdotes that adds to the appreciation that the doc presents. As if everything noted here is not enough, audiences will be just as interested to take in the discussions on the band’s decision to go forward with focusing so much on Viking mythology in its albums despite the apparent belief of some that it has to certain groups. There is an equally interesting discussion that goes along with that talk, in which the band talks frankly about steering away from the standard death metal fare, and why it opted not to go that route. That discussion is one of the most powerful, as brief as it might be. It joins with everything else presented over the course of the documentary’s run to make this story one that is certain to make audiences new and old see Amon Amarth in a whole new and certainly positive light. To that end, the documentary featured in this new presentation is a strong addition to the whole of the presentation, and is not the only positive to the set. The live material included in the set adds even more enjoyment to the package. The live material featured in The Pursuit of Vikings: 25 Years in the Eye of the Storm is so important because of everything that goes into that presentation, from the set lists to the band’s performance thereof and the production values. The two set lists – taken from the band’s Aug. 16 & 17 Summer Breeze Festival performance – pull songs from nine of the band’s current 10 albums. In other words, it is safe to say that this is a career-spanning two-night performance. The only album not represented in the recording is the band’s 2001 album The Crusher. The band’s debut 1996 EP Sorrow Through The Nine Worlds also is not included in the set list, but the band can easily be forgiven for that. Over the course of the 30-song set, the band pulls most liberally from its 2006 album With Oden on Our Side and its follow-up, 2008’s Twilight of the Thunder God, with each album getting six nods. Jomsviking is next with five songs, and then Versus The World (2002) with four, Deceiver of the Gods (2013) with three, Surtur Rising (2011) and Fate of Norns (2014) with two each and then The Avenger (1999) and Once Sent From The Golden Hall (1998) each with just one song representing them respectively. To say that the set list is extensive would be an understatement. As with the documentary, such an extensive set list serves as a solid representation of Amon Amarth’s career to this point. Simply put, this makes the set list another excellent introduction to the band for fans less familiar with the band’s work and an equally welcome presentation for those more seasoned audiences. The extensive set list featured in the band’s Summer Breeze 2017 performance is just part of what makes that performance welcome. The band’s performance thereof adds even more of a positive touch to the recording. From start to finish, the band gives its all for its audiences on both nights of the festival, letting the music do the majority of the talking. It serves to display that work ethic that Hegg talked about in the documentary, making for even more appreciation for the band. The same can be said of Hegg’s interactions with the audience between songs. From the casual discussion about the band donating its now famous on-stage Viking boat to Hegg’s encouragement of the audience to do its own “Viking row” to the general mid-performance banter, Hegg proves to be an entertaining front man. His band mates meanwhile do just as much to entertain audiences throughout each song, that they are giving 110 percent and more. It’s just one more way in which the live material stands out so strongly here. The recording’s production values are just as worth noting in examining the recording as the band’s performance and the recording’s set list. The work that went into balancing the sound and capturing the concert both during and in post production paid off, giving audiences at home the best seat in the house. The sound is everything that a home viewer should expect from audio mixing while the camera work offers its own entertainment. Audiences are taken on stage, into the crowd and high above throughout. What’s interesting to note here is that the shooting actually at times has a little bit of a guerilla look. Luckily that feeling is not overpowering at any given moment. Rather, it is just enough that when coupled with the more spit-shined shots, the combination of those clearer and more raw shots makes for its own interesting experience. The end result of the attention paid to every detail makes this performance just as enjoyable for its production work as for the set list and the band’s performance. In other words, everyone behind the boards and cameras is fully deserving of praise for their work. That effort and time was well worth it. Now keeping all of this in mind, the last important element of this set to note is its pricing. Looking through the nation’s biggest retailers – Target, Best Buy, Amazon and Walmart — finding this new recording was a bit of a craps shoot. That is both because The Pursuit of Vikings: 25 Years in the Eye of the Storm is available on so many platforms and because right now, some of the retailers do not have it listed. Target has the vinyl presentation listed while Best Buy has three of its separate platforms listed at coordinated prices. The problem is that Best Buy’s listings do not specify which price is with which platform. Walmart does not even list the recording, and Amazon lists the pricing for the CD/2 DVD and Blu-ray platforms. Of course, Metal Blade lists each of the platforms and their respective prices. Keeping all of this in mind, and that most people will likely buy either the Blu-ray or CD/2DVD set, finding an average price point at the time of this posting is next to impossible. However, comparing Amazon’s current pricing to that of Metal Blade, it can be said that even with shipping, fans will find it less expensive to purchase the Blu-ray and the CD/2DVD set direct from Metal Blade’s official store. That is always open to change, of course, but for now Metal Blade’s official store is offering a more affordable price for each platform, even with shipping & handling. When this is considered along with everything else noted here, it goes without saying that The Pursuit of Vikings: 25 Years in the Eye of the Storm is a relatively affordable presentation that audiences new and old alike will happily welcome in their own music libraries.